25% OFF any treatments booked throughout the year 10% OFF for VIP Guest at any Spa Package or Pamper Party 10% OFF any purchase of Environ, Jane Iredale, Floraver Skincare, Bodypro50 & Bioslimming products. Last minute special offers – Our VIP members will have exclusive access to our last minute appointments at a special discounted rate. 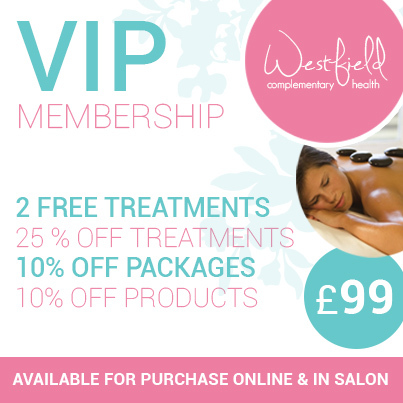 Already a VIP - Refer a friend to our VIP membership and you will both receive £10 voucher to spend on treatments. All of the above for only 99.00 for the year makes it a no brainer!! Terms & conditions: – The VIP card is non transferable, valid for one year from date of purchase, appointments subject to availability. Discounts and free treatments must be used within the 12 month period. VIP discount when used for spa packages or pamper parties are only available to VIP card holders. VIP & loyalty discount are two separate offers which cannot be combined. Refer a friend £10 voucher can be used against any full price treatment or can be used as a gift.